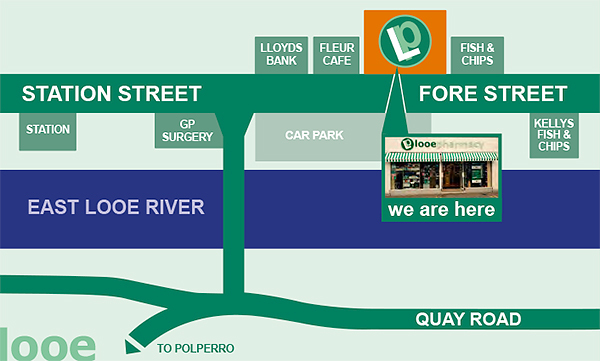 Looe, Cornwall PL13 1DT... we’re located next to the Fleur café and opposite the harbour car park on the main high street. We offer a free blood pressure monitoring service in our consulting room. No appointment required but the service is subject to the availability of qualified staff. If you would like your blood pressure taken, please ask at our pharmacy counter. We offer a free finger prick blood test to check your blood glucose levels, This service is conducted in our consulting room and no appointment is required but the service is subject to the availability of qualified staff. If you would like your blood sugar levels checked, please ask at our pharmacy counter. For £10, we can offer a “healthy heart” check. The service is conducted in our consulting room and during the review we will take a finger prick blood test to check your cholesterol levels, we will weigh you, take your height and measure your blood pressure. The results allow us to calculate your risk of having a heart attack or stroke in the next ten years. Our pharmacist will then explain these results to you. 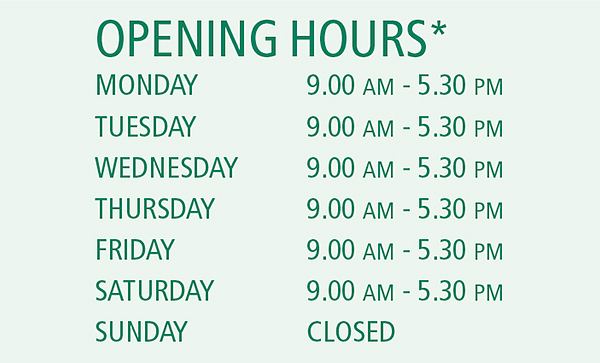 No appointment required but the service is subject to the availability of qualified staff. We can now offer private Flu vaccination to anybody over 18 years of age and who is not eligible for a FREE NHS Flu Vaccination.